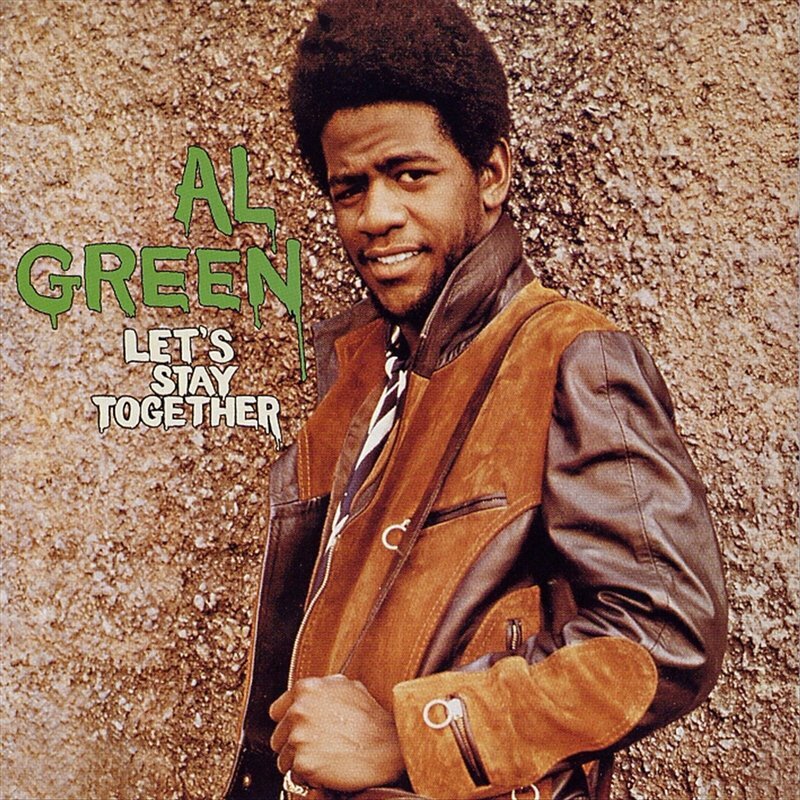 Basement Songs: Al Green, "Let's Stay Together"
Al Green gets funky in this week’s Basement Songs. that rang true of a twentysomething married couple laying down roots. Located on Moorpark Street in North Hollywood, it wasn’t a large place, per say- a modest kitchen, a small balcony off the living room, an even larger balcony off the loft- but it had high ceilings and an openness about it that was very inviting. Unlike our first place, located around the corner from North Hollywood High School with its regular bell schedule and heavy traffic, plus a lack of air conditioning in the sweltering summertime, the Moorpark apartment backed up to a quiet neighborhood. It was also within walking distance of plenty of shops and restaurants. A quarter mile from the front door was Henry’s Tacos, a San Fernando landmark with great Mexican food. Across the street from Henry’s was a shopping plaza with a 7-Eleven, a laser disc rental store (until it closed a year later) and Sushi 101, one of our favorite hangout’s with my brother, Budd, and his wife, Karyn. If you walked south of Henry’s you’d find another plaza, one that housed the Laundromat where we washed our clothes, some small boutique stores and a teriyaki stand that made some of the best chicken teriyaki you could find (pretty cheap, too). I wouldn’t call the area we lived in trendy- our apartment was one in a row of buildings along Moorpark- but the side streets behind Moorpark did have some beautiful, expensive houses I would admire during morning jogs. I’d look at those homes and dream of the day when Jules and I would be able to afford our own house. Until then I was content with our cool, loft apartment. During these years, Julie worked at a small flower shop in North Hollywood. The hours sucked, she worked almost every holiday, and the owners were assholes. I oscillated between Alterian Studios, the make-up effects company where I’d done my summer internship in ’91, and a production company that turned out sing-along videos for children. Of the two jobs, I preferred Alterian, where I’d moved up from production assistant to coordinator. It was stressful, but fulfilling. The other job was essentially a paycheck, even though I worked with good people. I just never felt committed to them; I sense that they felt the same way about me. In truth, I wasn’t going to be satisfied with either job because my goal was to write and direct movies, a goal that the space in the loft provided me room to pursue. Despite the closeness to the living room, the loft felt separate from the rest of the apartment. No door closed it off from the downstairs, just a long staircase that led up to my creative zone. It was up there that I wrote Southern Cross, the screenplay that evolved into my film, King’s Highway. Whether is was a big dinner party, in which the guests had plenty of space to socialize, or an intimate gathering with close friends, the Moorpark apartment exuded hospitality. Many of our best memories came from spur of the moment decisions to take in a meal at Sushi 101 with Budd and Karyn and return to the apartment with a six-pack and a bottle of wine. One Saturday night in ’96, the four of us laughed and reminisced, as couples will do, when Karyn had the great idea for a lip sync contest. It wasn’t really a contest because Julie was the only one to “perform” (to the best of my recollection; we were pretty loose that night). Karyn chose Al Green’s “Let’s Stay Together” for my wife to begin the show. Julie ascended the stairs, part of some choreography worked out with Karyn, and I started the music. As Reverend Green began to sing, Jules appeared over the railing, masterfully mouthing the words to the song. In perfect stride to the beat of the song, she walked down, step by step, until she was “on stage” in front of us. Julie’s years in high school show choir came out as she put on a great performance, one that had us laughing and applauding. I couldn’t keep my eyes off of her, my cheeks aching from the huge grin on my face. Watching her, I had a longing in my heart to have known her back when she was a teenager. How I wish someone had videotaped her on stage in front of a real crowd. Julie has such a beautiful voice. Moreover, she commands your attention when the spotlight is on her. Even when merely lip-syncing to a 70s soul staple like “Let’s Stay Together,” she’s a star. It’s a quality that she’s passed down to both of our children. My God, I was so in love with her in that moment. To have this funny, beautiful woman by my side, supporting my dreams, never doubting me. Whereas the first year in our hot, awful apartment was about getting established, our second place and those next couple of years saw us getting established. They proved that we could make it. Notice of a rent increase came in mid 1997, around the same time Budd and Karyn became pregnant with their first child. Watching them go through the trials and tribulations of becoming parents made Julie and me evaluate our lives. We seriously discussed when we would want our own children and whether the Moorpark apartment would be the right place to begin a family. Although we loved the area, we didn’t think the apartment was accommodating enough. By September we had moved. When I recall our first year of marriage, it’s a blur. So much happened that the first apartment feels like a weigh station in our journey. The second place felt like our first home, as we had a comfort in that aparment that made us feel secure. Julie and I created lasting memories on Moorpark Street and proved to ourselves that we were survivors. This was a vital lesson in the years to come.